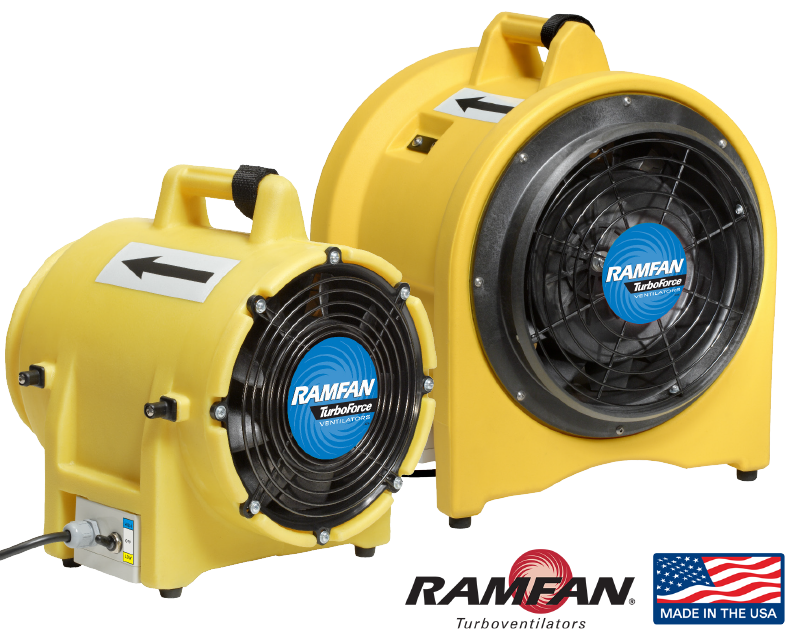 The UB20 (8”/200mm) and UB30 (12”/300mm) ventilators are designed to either supply or exhaust air. 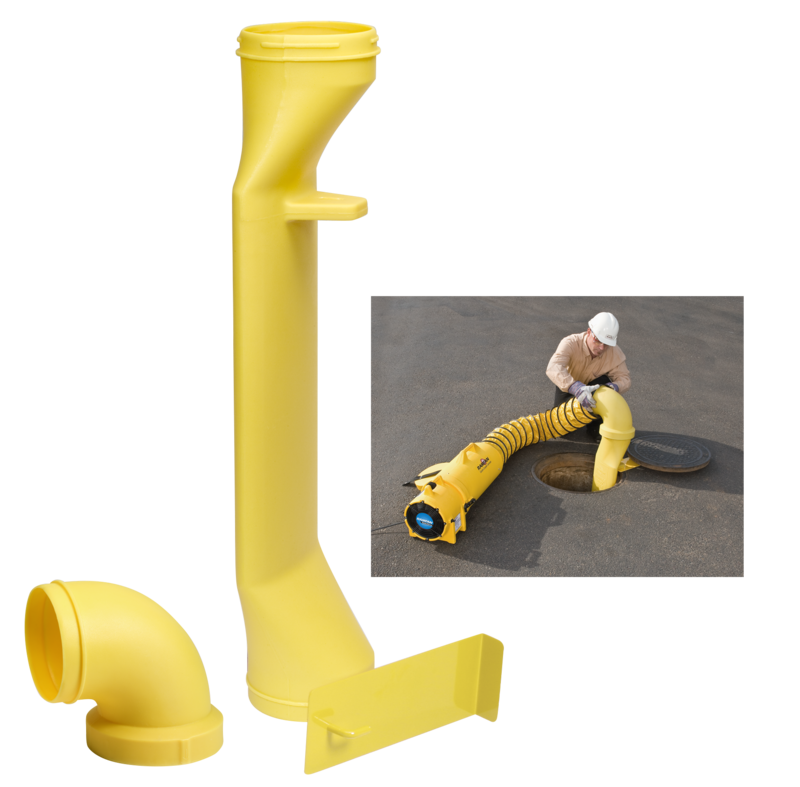 They offer the complete solution for common confined space applications. High performance, axial blower with ultra quiet operation. Made tough with corrosion proof and dent resistant casing. Integral thermal overload protection, which prevents damage to the ventilators from overheating. Dual walled UV resistant polyethylene housing. 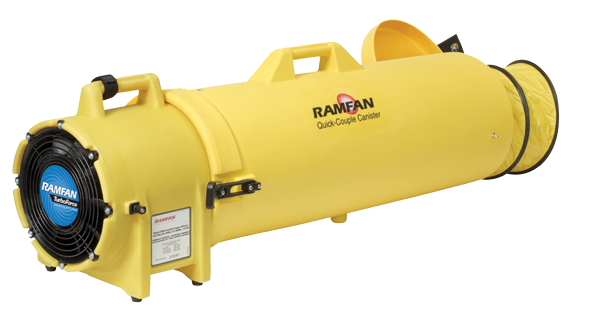 The Quick-Couple™ Canister can be easily and quickly connected to either end of the ventilator, changing it from supply to exhaust within seconds. Comes with 7.6m of 200mm diameter flexiduct. 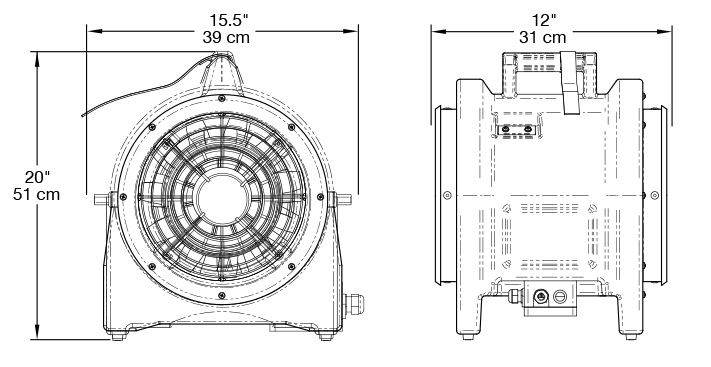 Quickly connecting two UB20 ventilators in series is the perfect solution for your long distance ventilation needs. 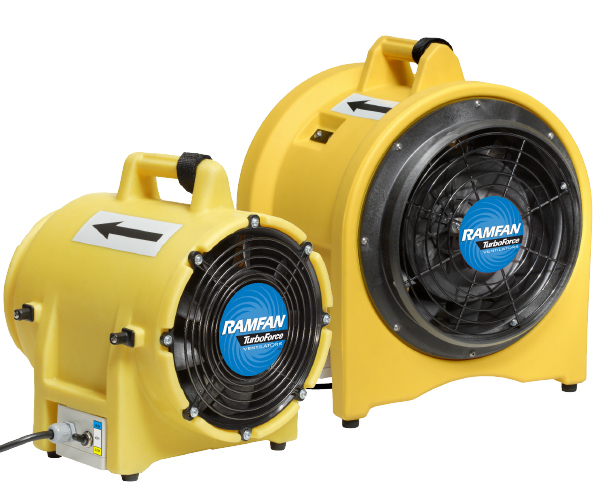 This enables the right air quantity to reach workers when using long lengths of duct. The M.E.D.™ is suitable for non-hazardous applications and allows workers to enter and exit through small man-size openings while maintaining continuous ventilation. 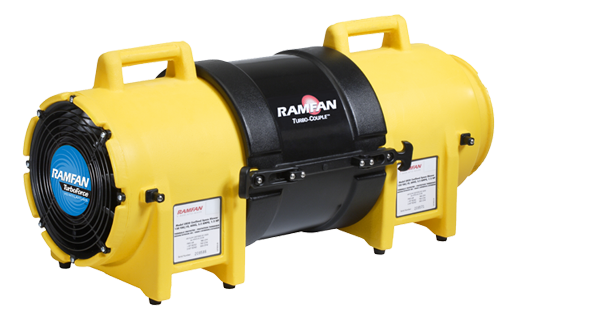 Without this device, duct can obstruct the man hole opening, preventing rapid entry and exit. 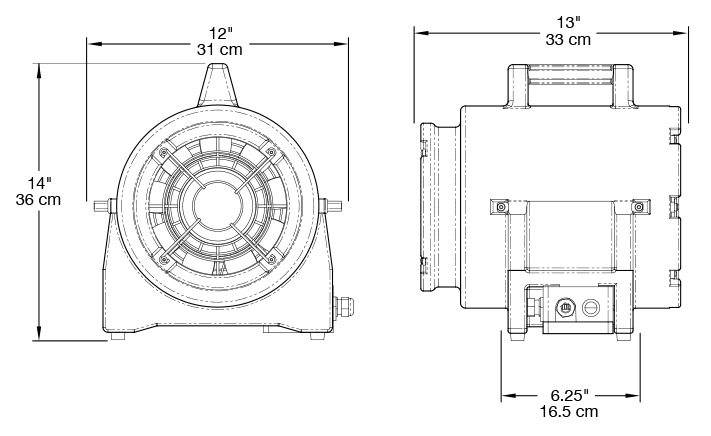 The M.E.D.™ is quick to assemble and the swivelling elbow makes duct alignment easy.